I’ll never know if that hit on my head contributed to my Cushing's but I have seen several people mention on the message boards that they had a traumatic head injury of some type in their earlier lives. Today’s Cushing's Awareness Challenge post is about kidney cancer (renal cell carcinoma). You might wonder how in the world this is related to Cushing's. I think it is, either directly or indirectly. Leslie had pituitary tumors removed twice at the University Of Michigan. After her second surgery she gave birth to her second baby. She has had another recurrence and has had Gamma Knife Radiation April 3, 2008. I have seen this image several places online and it never ceases to crack me up. Sometimes, we really have strange things going on inside our bodies. Natalie had a BLA in March, 2008. She died April 21, 2008. She was only 42 and had recently had a BLA. I first met Natalie at a local lunch in November of 2001 and have seen her seval times since then. The image above is from our first local meeting, here in Northern VA – note the 6 Cushing St. sign behind us. Natalie was the Cushie in the middle. Today is the anniversary of Natalie’s death. Last month was the anniversary of Sue’s death. I wrote about Janice earlier. Steve was diagnosed with HyperBeta Adrenergic Syndrome in August, 2005. Doctors thought he might have a pheo, now they’re checking for ACC cancer. Steve also has a newspaper article written about him. Steve’s daughter may also have Cushing’s. This is a tough one. Sometimes I’m in “why me” mode. Why Cushing's? Why cancer? Unfortunately, there’s not a thing I can do about either. Cushing's, who knows the risk factors? For kidney cancer I found out the risk factors and nearly none apply to me. So why? But why not? No particular reason why I should be exempt from anything. Listen as Monica (Monicaroni) talks about the challenges she’s faced maintaining her music career while in testing and treatment. Monica was diagnosed with Cyclical Cushing’s. She had pituitary surgery in November 2006. An 8mm encapsulated pituitary tumor was removed. Since there was no post-op crash, she also had a BLA in December 2006. This is a Myth. More current research has explored multiple etiologies of Cushing’s. It was once thought that heredity had no influence on the development of Cushing’s Syndrome/Disease and our knowledge was once limited in this sense. 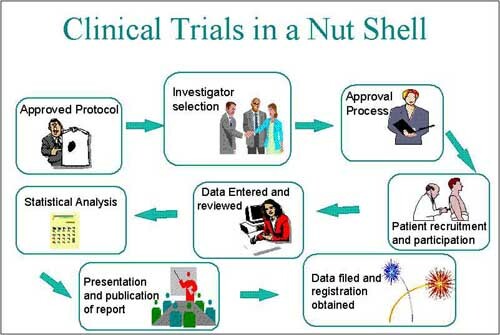 Clinical trials are research studies that test new treatments to see how well they work. Our Pituitary and Skull Base Tumor Center is leading clinical trials investigating new medical therapies for patients with Cushing’s disease and acromegaly. They are also involved in quality-of-life studies aimed at improving long-term follow-up care for patients who need it. Our experts can help determine which clinical trials are right for you. The following clinical trials for pituitary tumors are currently enrolling new patients. To learn more about a particular study, choose from the list below. For more information about our research and clinical trials, call us at 212-639-3935, or talk with your doctor. 5 Recruiting Saliva Cortisol Measurement as a Screening Test for Suspicious Cushings Syndrome in Children. 26 Recruiting Does Serum-DXM Increase Diagnostic Accuracy of the Overnight DXM Suppression Test in the Work-up of Cushing’s Syndrome? 37 Recruiting Mifepristone for Breast Cancer Patients With Higher Levels of Progesterone Receptor Isoform A Than Isoform B. This trial is testing the safety and effectiveness of an investigational drug for the treatment of Cushing’s Syndrome. Under the supervision of qualified physicians, cortisol levels and symptoms of Cushing’s Syndrome will be closely followed along with any signs of side effects. The study drug (COR-003) is administered by tablets. If you are interested, please find the full study details and eligibility criteria listed here. Please complete the online questionnaire to check if you’re eligible for the trial. Clinical trials are research studies to determine whether investigational drugs or treatments are safe and effective for humans. All new investigational medications and devices must undergo several clinical trials, often involving thousands of people. You will have access to investigational treatments that would be available to the general public only upon approval. You will also receive study-related medical care and attention from clinical trial staff at research facilities. Clinical trials offer hope for many people and an opportunity to help researchers find better treatments for others in the future. Steroidogenesis inhibitors were responsible for approximately 28% of total drug sales in the 6MM in 2013, equating to around $50m. As a consequence of this trend, GlobalData expects overall revenues generated by this drug class to increase by approximately 390% to reach around $247m, encompassing 49% of total drug sales in the 6MM in 2018. The expansion in this segment of the CS market is fuelled by the introduction of premium-priced pharmacological agents such as Novartis’ LCI699 and Cortendo AB’s NormoCort (COR-003) in the US, as well as the arrival of HRA Pharma’s Ketoconazole HRA (ketoconazole) to the European CS stage. One of the greatest unmet needs in this indication is a lack of effective drugs directed against the underlying cause of Cushing’s disease (the pituitary tumor). Despite this demand, pharmaceutical companies are continuing to adopt a strategy that simply targets the adrenal glands. As a result, there is a vast amount of room for new or existing players to penetrate the market and capture considerable patient share. Although the current standard of care (ketoconazole) is cheap and reasonably effective in most CS patients, it possesses worrying safety profiles, inconvenient dosing schedules, is difficult to obtain and can display waning efficacy over time. Newer medical treatments, for example, Novartis’ Signifor (pasireotide) and Corcept Therapeutics’ Korlym (mifepristone) address only some of these issues; yet, present their own limitations. The CS market is still marked by the existence of a multitude of unmet needs. What are the main unmet needs in this market? Will the drugs under development fulfil the unmet needs of the CS market? The late-stage CS pipeline is sparsely populated; however, those drugs in development will be a strong driver of CS market growth. Which of these drugs will attain high sales revenues during 2013-2018? Which of these drugs will have the highest peak sales at the highest CAGR, and why? One of the main drivers influencing growth in the Cushing’s syndrome market will be the introduction of second-generation steroidogenesis inhibitors, LCI699 and NormoCort (COR-003), in the US, which will rival existing standard of care medical treatments. Another strong driver will be the arrival of Corcept Therapeutics’ Korlym (mifepristone) and HRA Pharma’s Ketoconazole HRA (ketoconazole) to the European CS market. Both drugs will stimulate significant growth here. The launch of Novartis’ Signifor LAR (pasireotide) in the 6MM will equip physicians with a less frequently administered formulation of Signifor. Reasons for inadequate CS treatment include poor physician awareness of the condition, delayed diagnosis, a lack of efficacious drugs for individuals suffering from severe hypersecretion, and a shortage of effective medicines targeting the source of Cushing’s disease. 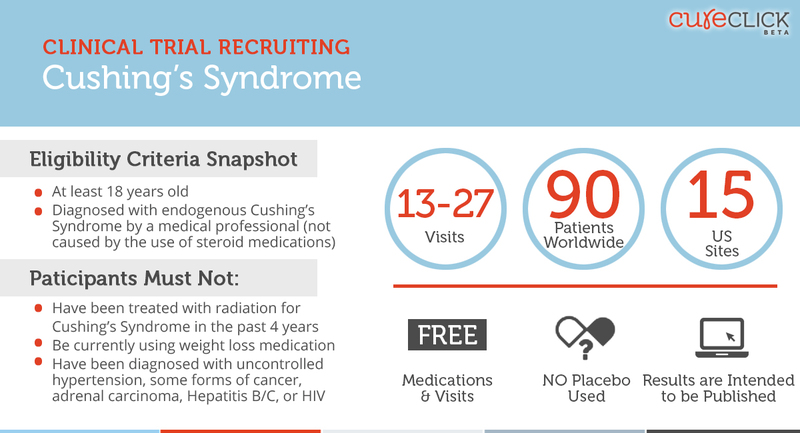 Overview of Cushing’s syndrome, including epidemiology, etiology, pathophysiology, symptoms, diagnosis, and treatment guidelines. Annualized Cushing’s syndrome therapeutics market revenues, annual cost of therapies and treatment usage pattern data from 2013 and forecast for five years to 2018. Key topics covered include strategic competitor assessment, market characterization, unmet needs, clinical trial mapping and implications for the Cushing’s syndrome therapeutics market. Pipeline analysis: comprehensive data split across different phases, emerging novel trends under development, and detailed analysis of late-stage pipeline drugs. Analysis of the current and future market competition in the global Cushing’s syndrome therapeutics market. Insightful review of the key industry drivers, restraints and challenges. Each trend is independently researched to provide qualitative analysis of its implications. Develop and design your in-licensing and out-licensing strategies through a review of pipeline products and technologies, and by identifying the companies with the most robust pipeline. Additionally a list of acquisition targets included in the pipeline product company list. Develop business strategies by understanding the trends shaping and driving the Cushing’s syndrome therapeutics market. Drive revenues by understanding the key trends, innovative products and technologies, market segments, and companies likely to impact the Cushing’s syndrome therapeutics market in the future. Formulate effective sales and marketing strategies by understanding the competitive landscape and by analysing the performance of various competitors. Identify emerging players with potentially strong product portfolios and create effective counter-strategies to gain a competitive advantage. Track drug sales in the 6MM Cushing’s syndrome therapeutics market from 2013-2018. Organize your sales and marketing efforts by identifying the market categories and segments that present maximum opportunities for consolidations, investments and strategic partnerships. The primary objectives of this study are to evaluate the efficacy of ascending doses of COR-003 in subjects with elevated levels of cortisol due to endogenous Cushing’s Syndrome by assessment of reduction in Urinary Free Cortisol (UFC) concentrations and to identify the range of safe and effective doses of COR-003 that reduce mean UFC concentrations ≤ULN (upper limit of normal) of the assay at month 6 of the maintenance phase of dosing without a prior dose increase in that phase. Elevated 24-hour UFC levels ≥1.5X ULN of assay based on a minimum of 4 measurements from adequately collected urine. Urine may be collected on sequential days. Previously irradiated subjects will be allowed as long as the radiation treatment occurred ≥2 years ago and they do have stable UFC levels based on 24-hour urine collections for at least 6 months. The total number of previously irradiated subjects will not exceed 10. In the vast majority of subjects treated with radiation, efficacy is observed in <2 years. Confirmed diagnosis of persistent or recurrent endogenous hypercortisolemia as defined by UFC concentrations on repeated determinations (described in Inclusion #2) caused by either ACTH-dependent or ACTH-independent etiologies. Inhibitors of steroidogenesis: 2weeks; subjects on ketoconazole will be considered inadequately treated if they had failed to normalize UFC with a dose lower than or equal to 600 mg/day (also see Exclusion 7 below). Subjects on megasterol acetate (medroxyprogesterone acetate) must agree to a wash out of ≥6 weeks prior to receiving the first dose of the study medication. Female subjects should be either post-menopausal, surgically sterile, or women of child-bearing potential (WOCP) with a negative serum beta human chorionic gonadotropin (ßhCG) pregnancy test prior to entering the study and who agree to use an acceptable method of contraception, for the duration of the study. Condoms will be considered an acceptable form of contraceptive. If surgery is to be delayed for >5 months, subjects may be allowed to participate in the trial while awaiting surgery, but must agree to complete this study prior to surgery. Subjects treated with radiation within the previous 2 years. History of malignancy, other than thyroid, early stage prostate, squamous cell and basal cell carcinoma, within 3 years prior to the initial dose of the study medication. Subjects with history of carcinoma must have a life expectancy of >1 year and must be on stable doses of their specific therapies. Subjects with early stage prostate cancer undergoing no treatment due to low grade potential may be enrolled. Subjects with decreased renal function as defined by eGFR ≤40 mL/min, using Modified Diet in Renal Disease (MDRD) equation for estimating renal function (eGFR). Any other clinically significant medical condition, as determined by the Investigator that precludes enrollment and participation in the study through completion (for example, New York Heart Association (NYHA) class III or IV congestive heart failure). Liver function tests (LFT) must not be above the following cut-offs at screening: ALT and/or AST >3.0X ULN, alkaline phosphatase (AP) >1.5X ULN and total bilirubin >ULN. If all LFTs are within normal limits (WNL) and total bilirubin is elevated, examination of direct and indirect bilirubin may be conducted. Subjects with indirect total bilirubin up to 3X ULN are presumed to have Gilbert’s syndrome and may be enrolled if all other LFTs are WNL. The subject is currently taking any H2 receptor antagonists or proton-pump inhibitors (which inhibit absorption of COR-003). Only over-the- counter liquid and tablet antacids are allowed which should be used in moderation and taken a minimum of 2 hours after dosing of COR-003. Coadministration of COR-003 and drugs primarily metabolized by the cytochrome P450 3A4 enzyme system may result in increased plasma concentrations of the drugs that could increase or prolong both therapeutic and/or adverse effects. Therefore, appropriate dosage adjustments may be necessary. Medications with metabolism largely mediated by CYP3A4 and a narrow therapeutic margin include: cyclosporine, midazolam, triazolam, alprazolam, digoxin, coumarin-derivatives, phenytoin, rifampin, erythromycin, clarithromycin, loratadine, astemizole, terfenadine, nicotinic acids, resins, orlistat, sibutramine, HIV protease inhibitors, thiazolidinodiones, aliskiren, and spironolactone. A complete list of medications metabolized by or with an effect on cytochrome P450 3A4 is provided in Appendix K. Also see Section 10.2.